Congrats on the raise! Don’t forget to celebrate by giving your savings account a bump, too. Learn more money saving tips from one Texas native as she walks through her “month in money” with State Farm® Agent Lakitsia Gaines, and explores new ways to save. Life is unexpected. Sometimes you get the raise, and sometimes your income is stalled. Changes in your source of income are inevitable, but it's up to you to adapt your saving habits along the way. Whether it’s an increase or a temporary decrease, your saving habits should calibrate with the change. The time in life in which you earn your first big chunk of money varies for everyone. No matter when it happens, it’s exciting and worth celebrating. But, once you’ve finished the cake, start making a plan to save. Resist the urge to spend money just because you have it. Should you find yourself with an extra bit of cash, be sure to celebrate, then have a plan. If you decide what you want to do with a source of extra income, you can make the most of it when that time comes. For more tips on creating a future spending plan, check out Make the Most of Extra Income. A classic choice. 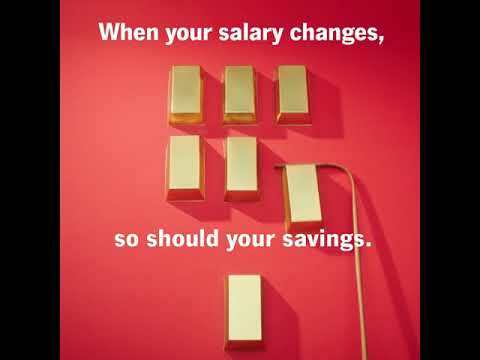 A general savings account is important to have to save for short- and long-term goals, as well as irregular, but necessary, expenses like car maintenance. Creating automatic payments on payday is an easy and mindless way to build this type of savings account. Also, look for a savings account, such as saving accounts offered by State Farm Bank ® with minimal or no fees so your money has more opportunity to grow! Your retirement account can come in multiple forms. There are 401(k) accounts, which are sponsored by your employer, or you can open an individual retirement account (IRA). An IRA lets your earnings grow tax-deferred until you make withdrawals. There are key differences between Traditional and Roth IRAs, so you’ll want to research and choose the right option for your situation. To start comparing today, review retirement plan options from companies like State Farm ® . Emergencies happen, whether it’s automotive, dental, kid-related, or another surprise expense. All the things you absolutely have to pay for, but aren’t able to plan for, fall under this category. If you don’t have the cash saved up, you might have to use a credit card, which can create unwanted debt. Help take control of the unexpected by working towards building an emergency fund! For many people, that number works out to somewhere between three and six months of income, but you can use an emergency fund calculator to determine your own individual need. Remember, you won’t touch the money in this savings account except for emergencies, and it will give you comfort knowing there’s financial stability during a time of need. Jobs come and go. During the times in-between, it’s in your best interest to have a small nest egg to fall back on. A good rule of thumb for the amount to save for times of unemployment is to triple your monthly expenses. That way, you give yourself time to find a new source of income. As you curate your savings plan, remember, it’s all about balance. Find out what works for you and your time in life. Next Tip: Packing A Lunch Can Pack on the Savings. Going out to eat adds up, especially when it’s a daily habit. Try packing a lunch to watch your savings grow. State Farm Bank, F.S.B., Bloomington, Illinois ("Bank"), is a Member FDIC and Equal Housing Lender. NMLS ID 139716. The other products offered by affiliate companies of State Farm Bank are not FDIC insured, not a State Farm Bank obligation or guaranteed by State Farm Bank, and may be subject to investment risk, including possible loss of principal invested. The Bank encourages any interested individual(s) to submit an application for any product(s) offered by the Bank. We also encourage you to obtain information regarding the Bank's underwriting standards for each type of credit or service offered by visiting statefarm.com® or by contacting the Bank at 877-SF4-BANK (877-734-2265). If you are deaf, hard of hearing, or do not use your voice to communicate, you may contact us via 711 or other relay services. To apply for a Bank product, you may also see your participating State Farm® agent. To make financial goals more attainable, budget week by week to see what you spend and save.